The Cawthron Institute's Power of Science meets Bowater Honda's Power of Dreams. 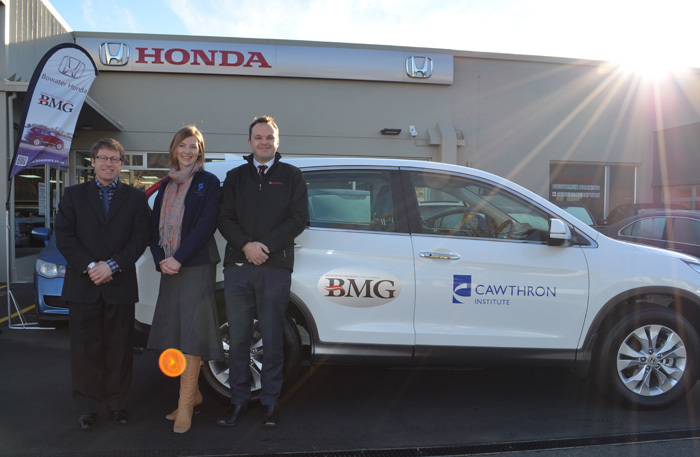 Bowater Honda, and the wider Bowater Motor Group, have been long time supporters of the Cawthron Institute. 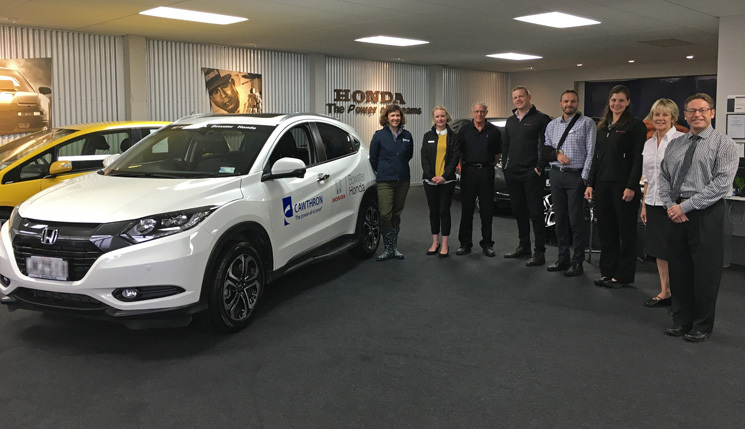 Their Community Education Programme is an area where Bowater Honda has had a direct connection since 2011, with the help of a new vehicle to enable the education facilitor to get out and about in our local region. One of the fantastic things about the Cawthron Institute, aside from their stunning and ground breaking scientific research work, is the motivating factor they are on the next generation. The Cawthron Institute is very focused on engaging with the youth of our community, inspiring them to take an active role with science, and be more aware of the wider world around them. Bowater Honda are keen to help this organisation move the minds of as many children as possible, opening them up to a world of scientific wonder, and hopefully starting at least a few of them on a journey of discovery. Bowater Honda CEO Chris Bowater, Cawthron Institute Community Educator Jo Thompson and Bowater Honda Sales Manager Nick D'Evereux. Bowater Honda, and the wider Bowater Motor Group in general, are very passionate about supporting our community. The easiest way we can make this happen from our perspective is to help provide transport solutions to these organisations. A key part of any community education programme is actually getting in amongst the community and delivering educational resource and conversation where the community actually is. 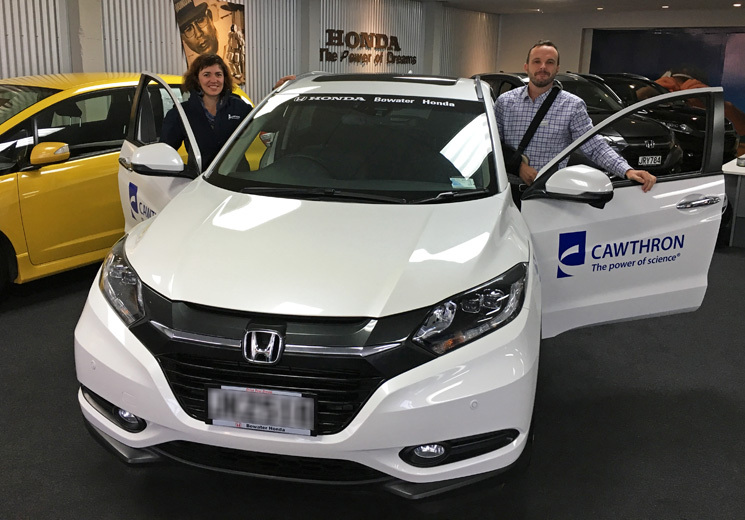 Bowater Honda recently delivered a multi purpose Honda CR-V to Jo Thompson, the Community Educator for the prestgious Cawthron Institute. Bowater's are not only commited to supporting community groups, but also those in the community such as Cawthrons, delivering invaluable and positive interactions with all aspects of the community, and in particular the youth of our district. Back in February 2011 the Cawthron Institute saw the need to support schools and the wider community in general, at events such as open days, and talks all across the top of the south. They established the Community Educator role to fill that void, and began to connect their research and scientists with the wider community, and looked to support existing science programmes in our region. and especially begin to actively engage with groups such as the local schools. Cawthron's community education programme was established in 2011 to connect our research and scientists with the wider community, and to support existing science programmes in our region. Bowater Honda came onboard at that initial early stage, sponsoring the institute with a Honda Civic. Now almost 3.5 years later, the Cawthron Institute are now receiving a remarkably functional and multi purposed Honda CR-V to replace the Honda Civic as this exciting programme expands and is increasingly utilised. They have been doing alot of work in schools, going in and running teacher training workshops, helping school science departments experience state of the art, up to the minute science at an easy to access level.